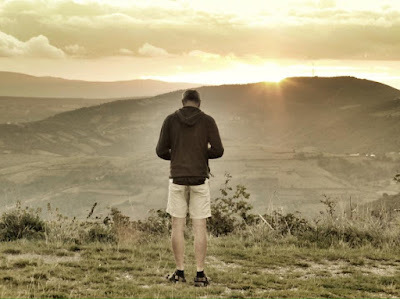 Sunrise moment of reflection at Alto de Poio, on my 2014 Camino. I was thinking of the pains we cause each other and the way towards healing is often by taking the road of forgiveness. It's not an easy map and sometimes it's easier to just carry that pain with you. Like the weight or stone that you carry on the Camino but leave behind at the Cruz de Ferro or any other place along the Camino. You must be ready to relinquish it and set it down, and lose that which burdens you. It's a great image and it means much to me. But I'm learning that it's not enough. A phrase came back to me this morning and it's a good reason why leaving the burden behind you isn't enough. You can't just leave a pain behind and forget it happened. "You can crumple a piece of paper, but if you unwrap it, it still is covered in creases." You can't just leave the burdens. You can't just say you forgave someone. If you want to use that piece of paper again, if you want to use your legs and back again after setting down that stone, you have to set down, to forgive, and to accept that things will never return to the way they were before. Laying down the stone isn't about the stone. Straightening out a crumpled paper isn't about the rolled up wad in front of you. It's about what you wanted to do, couldn't do, and now are ready to do once again. And unless you accept that it will be different, you'll still be limping along. That's why I walk for peace and reparation. I want to be reconciled, but more than reconciled. I want to be restored, but more than restored. I also want to be repaired. I want to be repaired, knowingly not to my original state, but to a state that gives me new maybe different functions and usefulness and beauty. Rebirth isn't about being born again in your current life. It's about something more, something different, something inspired. On the walk, I pray for our rebirth as individuals, as a community, as a world where we set down our stones, accept the creases of our past, and see a path of lasting peace. 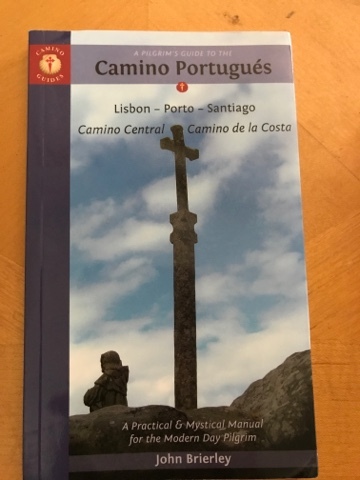 I leave for the Caminho Portugues (Camino de Santiago - Portuguese Route) in less than 6 weeks. This will be my 5th journey into Santiago de Compostela. Instead of walking from Lourdes, France to northwest Spain, I'll be heading north from Southern Portugal. Some have asked why I keep doing this. I usually suggest that they sit down with my blog posts from the past four years to identify the yearning in my heart that draws me to return year after year. I walk because I'm hungry. I'm hungry all the time - physically, mentally, and spiritually. With so much to choose from, I still eat poorly. And my body, mind, and spirit reflect the accumulation of these bad choices. Sure, I sometimes eat smartly, resisting cravings, saying I've had enough. And in a few hours, I've forgotten and am hungry once more. I walk because I'm lost and not where I should be. I'm lost all the time - physically, mentally, and spiritually. In a time of life where I'm told I should be coasting into the sunset, I look around and see that you can't coast downhill when everywhere you look is up a hill, through a forest, into the darkness. I walk because I am fallen. I fall down all the time - physically, mentally, and spiritually. And in falling down, I now accept that it's ok because feeling hurt, feeling pain, feeling other's pain is part of the fabric of our lives. It's woven deep into our DNA. So as always, as before, and once again, I walk. I get up, dust myself off, and look to the skies seeking guidance so that my feet are directed in ways that I never expected or tried. I leave for Lisboa (Lisbon) on a Monday morning. This trip won't be a complete walk along the Camino but will take me from Lisbon to a detour through Fatima. I'll be there a couple of weeks before the Pope arrives to celebrate the 100th anniversary of "The Day the Sun Danced", a miraculous vision experienced by thousands. After a couple of nights of prayer, I'll take the bus and walk a section to Porto. In Porto, I'll rest a couple of nights, enjoying a few glasses of port wine (named after this city of its origin) and visiting the many churches. From Porto, I'll look at the weather and decide what route I want to take. If it's good weather or if it's too hot, I'll go along the coast. If the weather is just too rainy, I'll take the ancient route. I'm leaving it to Providence to guide my journey. And, after I finish with some time in Santiago de Compostela, I'll spend a few days at a beach, digesting what I've learned, contemplating the people who touched me along the way. It will by then be October, which is also the 500th anniversary of Martin Luther nailing the 95 Theses onto the door of All Saints Church in Wittenberg and other churches. October 31 is called Reformation Day. Our Lady of Fátima and Martin Luther speak to me as voices of renewal, restoration, reparation. As an Episcopalian, I feel comfortable holding different spiritual traditions in a balanced tension, praying to Our Lady as well as for Church and spiritual renewal. 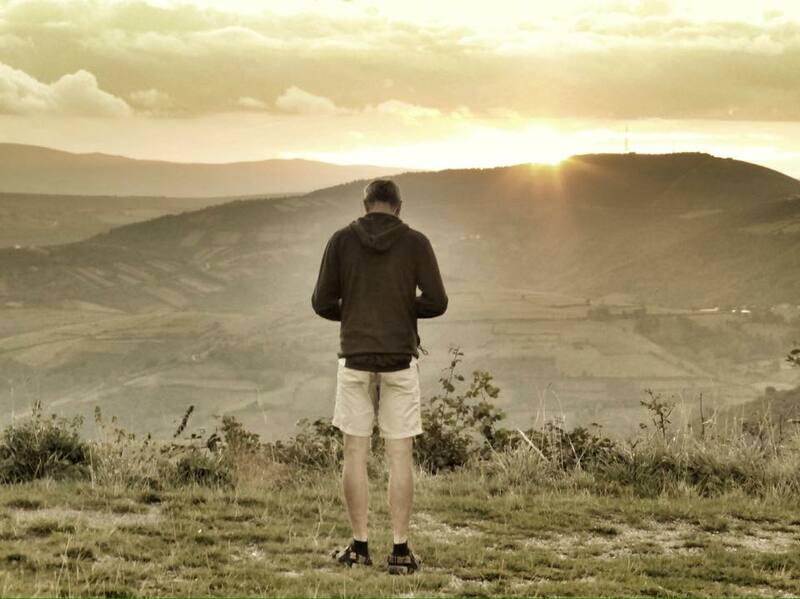 My prayers on this Camino will focus on peace, renewal, and reparation. But I'm also keeping in mind that I've done this before. I'm trying to release my expectations so that I can keep be open to new things, new life, new visions. That's not to say I won't keep certain realities and truths in mind. I'll meet people who amaze me with their stories. I'll try to be open-hearted and generous of my spirit, because each walk gives me more practice to give of myself so that I can receive. I anticipate my physical behaviours: that I won't have an appetite because I'm not hungry whenever I'm tired. So I'll have to eat adequately and eat wisely. I must accept that I will be trudging in the rain and thus might have blisters. I won't be surprised when I feel the presence of the Holy Spirit as She moves through the trees and valleys and me. I got by on my basic French and Spanish in the past, but I must humbly accept that I don't know how to speak Portuguese. I will join others who make a pilgrimage to Fatima. I will light candles in prayer for those who've asked me to pray for them or their loved ones. I'll ask for prayers for myself. I'll share what I learn, the ways I'm foolish, the light hidden in surprising places. And most of all, I know that I'm not alone. And the person in front of me is not alone. And the person behind me is not alone. And whoever is beside me is not alone. For we walk with each other and for each other, in love, as Christ loved us on his journey. As always, I invite you to walk with me again, to pray with me, to sustain me as Christ sustains me, to seek peace in our world. It's on our mutually intertwined journey that we appreciate that Love moves freely through the universe She created, and that we were meant to be with each other. Like photons speeding through the void of space, we are both matter and light, we can't be pinned down with certainty because that's not what was intended, and we aren't meant to sit in silent isolation. Because one more time, your light shines on my journey. You move me like Christ moves me. And thus I remember that I'm alive.